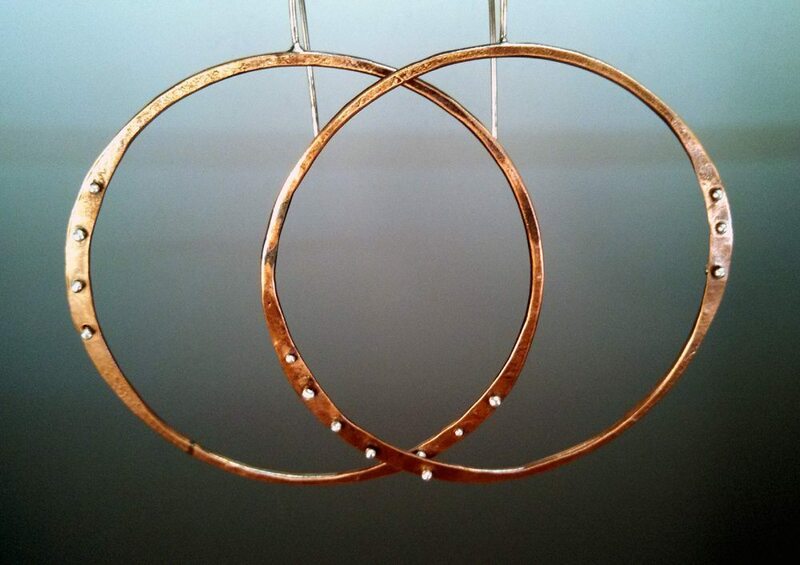 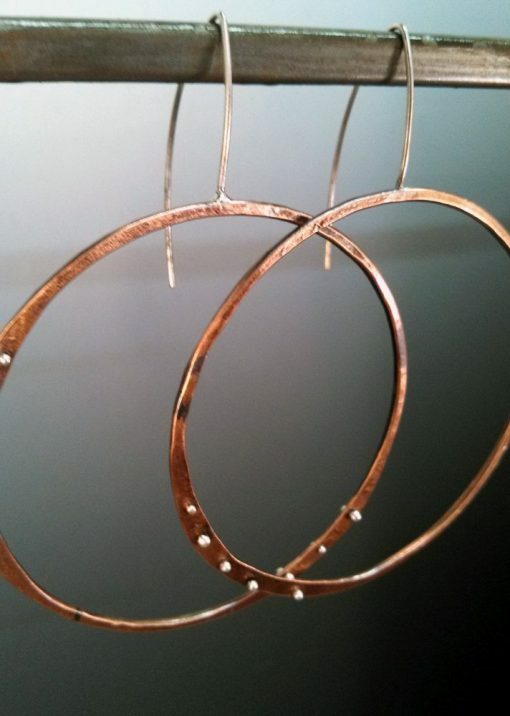 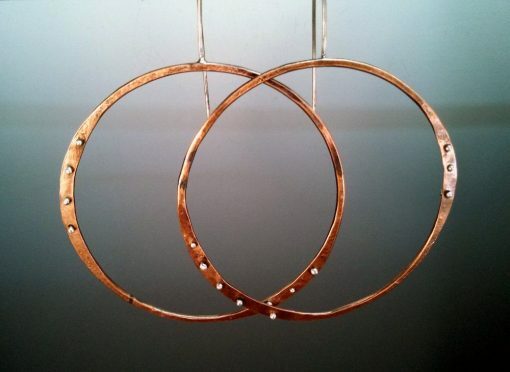 Great everyday hoops for those who like the bigger style. 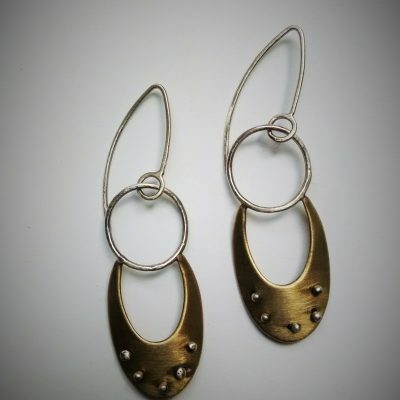 Choose from brass or copper with silver highlights. 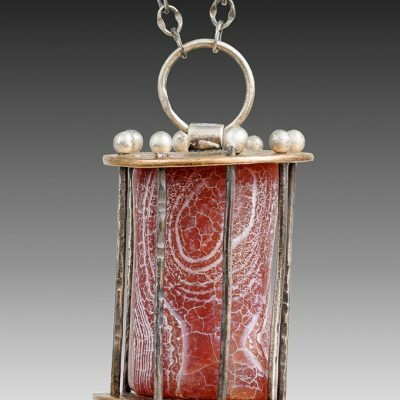 Soldered, fused, forged, drilled, patina, and lacquer. 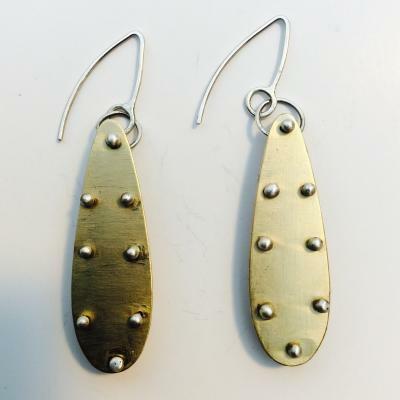 Approximately 2.75" long, 2.25" wide.